Explicit 306 - FCBD 2018 - LIVE FROM JAY'S COMICS! 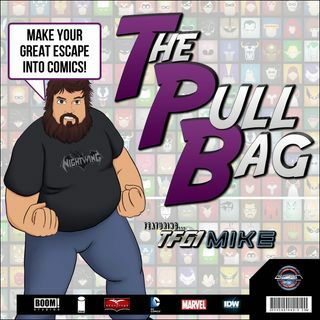 In Episode 306 of The Pull Bag join TFG1Mike as he i LIVE for the first time at Jays Comics in Grayslake, IL! After that he and Eduardo talk about the Doctor Who and Transformers: Unicron FCBD issues, and finally Mike runs solo for part of the show to talk about the MMPR Shattered Grid Free Comicbook Day issue. As always Make Your Great Escape Into Comics!! !